SOB Defense Systems provide optimal ballistic protection while maintaining maximum mobility and adaptability; it’s the protection you need, exactly when and where you need it. After all, armor is worthless if you can’t take it with you. Why Choose Special Ops Bunker? Our mission at Special Ops Bunker is to protect the innocent from the forces of evil, to serve our communities by promoting peaceful conflict resolution, and to empower the enforcers with confidence as they engage within hostile environments. When tensions are high and innocent lives are at stake, the heroes on duty must be confident and agile. 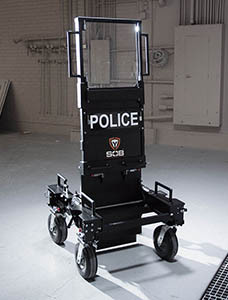 SOB Defense Systems offer the ideal balance of protection and mobility needed by elite response teams, allowing them to operate with the utmost confidence in a broad range of situations. SOB Defense Systems fill the gap between body armor and armored vehicles. Situations often arise where operators need the confidence and security of head-to-toe ballistic coverage; body armor can’t provide that. Armored vehicles provide excellent coverage, but they cannot be taken through doorways, down hallways, or into elevators. SOB Defense Systems offer protection when and where it is needed so that the heroes return home safely after every operation. We are committed to quality in all aspects of our business. 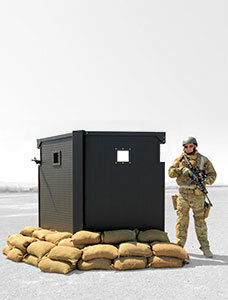 SOB Defense Systems are made with pride in the U.S.A.
Special Ops Bunker is a trusted and recognized name in personal defense systems worldwide. SOB Defense Systems have become essential to elite military units, law enforcement agencies, S.W.A.T. 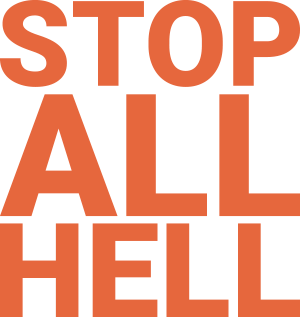 teams, government security units, industrial facilities, and private institutions around the globe. For example, a reinforced concrete fortress may stop every threat imaginable, but it is certainly not mobile. At the other end of the spectrum, body armor offers excellent mobility, but its ballistic capabilities and coverage are limited. Armored vehicles offer high levels of protection and mobility, but often the team must leave that armor behind when approaching the threat. As for weight, higher ballistic protection generally requires heavier armor. More weight means less mobility. SOB Defense Systems are preferred by elite tactical teams because they optimize the three elements, offering necessary threat protection while minimizing weight and maintaining the highest possible level of mobility. Our ballistic shields and bunkers are available in a variety of configurations to suit the needs of law enforcement, military ops teams, SWAT teams, hostage negotiators, first responders, and industrial security teams. 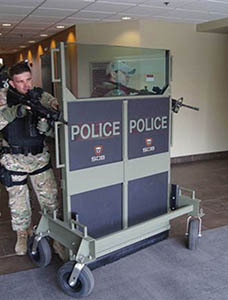 SOB Defense Systems have been highly effective for barricaded gunman situations, clearing buildings, and hostage negotiation and rescue operations. In essence, SOB Defense Systems are for anyone who demands maximum protection without sacrificing mobility. "Best investment for  my team, hands down."